The Coast Hwy 101 project consists of the ground up construction of a new 2-story commercial building. The new 30,000 Square Foot building will feature 2-levels of subterranean parking constructed of post-tension concrete, with a 2-story concrete and glass multi-tenant structure above. 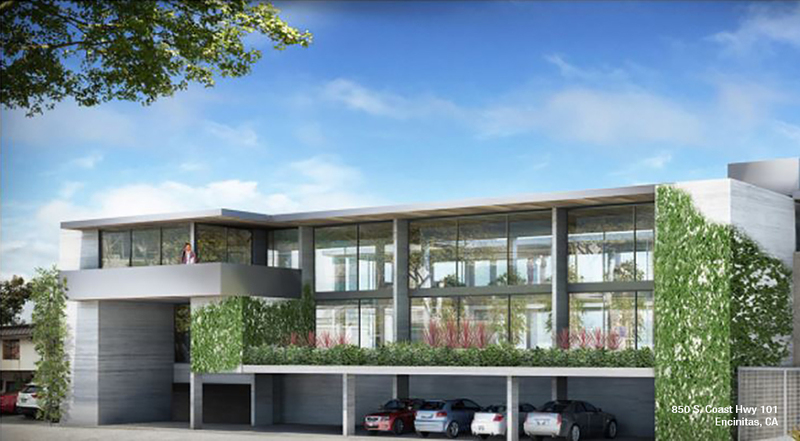 The coastal contemporary architecture features a significant amount of glass on all sides of the concrete structure, with an open interior atrium, allowing for a transparent appearance from the street. The project scope of work consists of the demolition of all existing improvements, site excavation and construction of all new improvements. The project is currently under construction..